Learn the ukulele in no time! Hal Leonard Ukulele Method is designed for anyone just learning to play ukulele. This comprehensive and easy-to-use beginner's guide by acclaimed performer and uke master Lil' Rev includes many fun songs of different styles to learn and play. 48 tracks of songs are included for demonstration and play-along plus 45 video lessons. 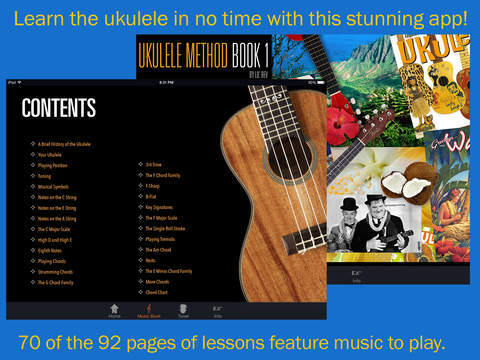 Lessons include: types of ukuleles, tuning, music reading, melody playing, chords, strumming, scales, tremolo, music notation and tablature, a variety of music styles, practice tips, ukulele history and much more.70 of the 92 pages of lessons feature music to play. Almost all of them include notes plus tabs. 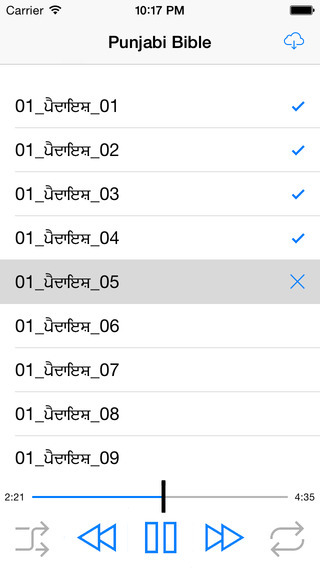 48 of them feature notes and tabs with audio and animation. 45 of those 92 pages also feature video instruction (more than 47 minutes of lessons). FEATURES:• Notes and tabs on most pieces, and with animation (for 48 of the pieces), shows you what to play• Slow down each music piece (that includes audio), without changing its pitch, to 3/4 or 1/2 speed to help you learn it• You can loop over any portion of the animated pieces for learning an especially tricky section in it (even slowed down! )• Video instruction for selected pages: 45 videos! 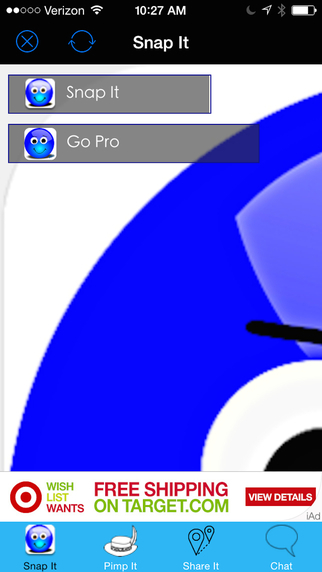 More than 47 minutes.• A built-in tuner with clickable strings to help you tune your ukulele• Share your progress on social media or message (iOS 6+)• Includes 7 pages of Help to show you how to use the app • Uses high-quality audio, not synthesized music• Everything is included; no Wi-Fi streaming is requiredThis app was produced by Hal Leonard Corporation, the world leader in the music print industry, and by G-Men Productions.